From The Fairwood Flyer, March 2004 issue, a Fairwood, Washington newspaper. Dr. Jay Pearson, a Kent Chiropractic Physician, was recently named an attending/treating physician to The Greatest Athletes in the World Decathlon club. Athletes in the prestigious club are training to qualify for competition in the Olympic Decathlon in Athens, Greece in August 2004. Pearson, a graduate of Western States Chiropractic College in Portland, was chosen because of his experience and expertise in providing chiropractic care to athletes. Pearson is one of only 25 Chiropractic physicians in the United States who will be treating the decathlon hopefuls throughout their training and competition. The Decathlon Club has a storied Olympic history and many of the former top athletes in the world are members of the club, including Bruce Jenner, Bill Toomey, DanO’Brian and Bob Mathias. The club also includes Tom Pappas, 2003 World Champion in the Decathlon and Heptathlon, and currently ranked the top decathlete in the world. Many believe that a member of The Decathlon club is favored to win the gold medal at the upcoming Olympics and club members have a chance of sweeping the medals. Chiropractic care has long been considered an essential component of optimal health and the prevention of injuries for athletes. According to Bill Toomey, the 1968 Decathlon Olympic Gold Medalists, “Chiropractic is one more tool that can benefit the decathlon competitor due to the enormous amount of stress he imposes during both training and competition.” Chiropractic care not only benefits world class athletes, but others as well who live or want to live an active lifestyle. “Chiropractic gives my wife tremendous relief following a bike accident”, ways Toomey. Brian Brophy, a three-time All American NCAA Decathlon champion and personal coach for Tom Pappas agrees. “After six months in a Boston Brace my freshmen year in college for a fractured vertebrae, …I chose to see a chiropractor. Six weeks later I was back on track, literally. I haven’t had a problem since”. Over the next few months, Olympic hopefuls will be training at five sites throughout the United States, including Warrensburg, MO, State College, PA, Knoxville, TN, San Luis Obispo, CA and Missoula, MT. “with a training site as close as Missoula, I hope to spend a lot of time between now an the Olympics with the decathletes”, added Pearson. Dr. Pearson, a native of Washington State, obtained an Associate Arts degree in Science from Green River Community College, and Highline Community College. He then went on to obtain his doctorate degree from Western States Chiropractic College. 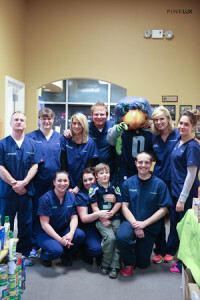 Dr. Pearson leads a chiropractic health care team at his clinic and rehabilitation center in Kent. 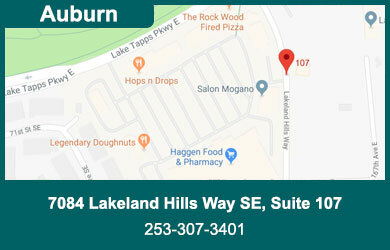 Dr. Pearson provides chiropractic care to athletes as well as non-athletes at his clinic in Kent. For more information, contact Dr. Pearson at 253-638-2424.